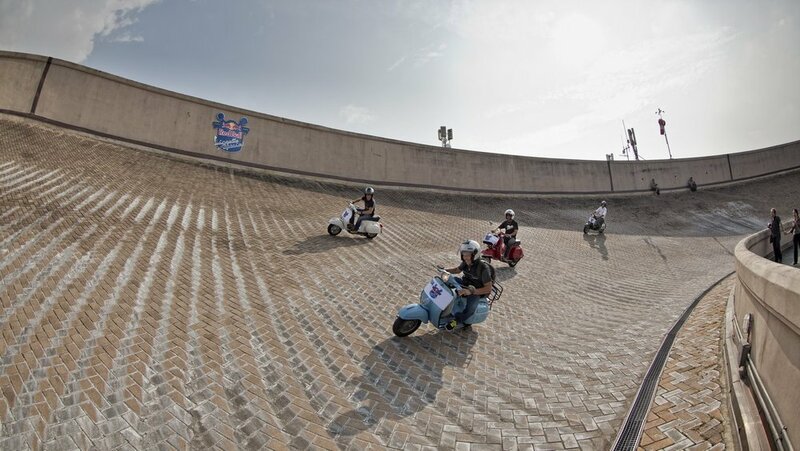 Phew, the unexpected sunshine is fantastic scooter riding weather… and maybe you can even squeeze in one more trip to the beach. 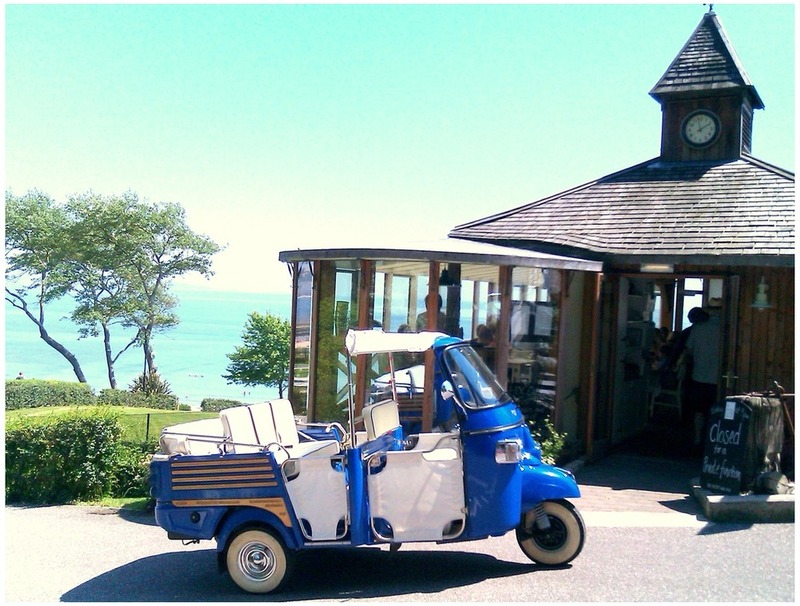 And we all know the English Seaside and scooter go together like cheese and marmalade (try it, it works!). 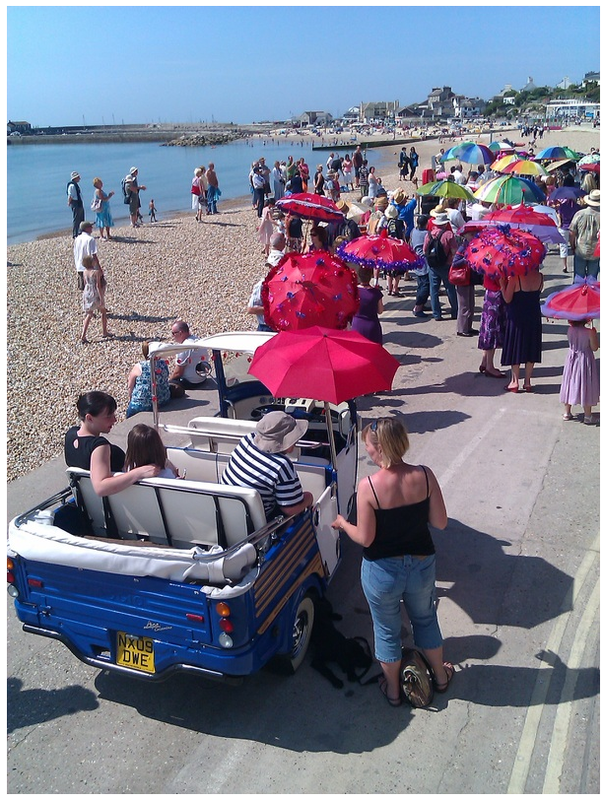 If you’re going, there’s few better places than Lyme Regis, Dorset… on of the extra attractions for me is this beautiful Tuk Tuk Taxi (or Tukxi!) What better way to see Lyme. Den, Tukxi’s owner, will also hire her out for weddings, promotions, TV and film work… check out the rather nicely put together website for all the details! 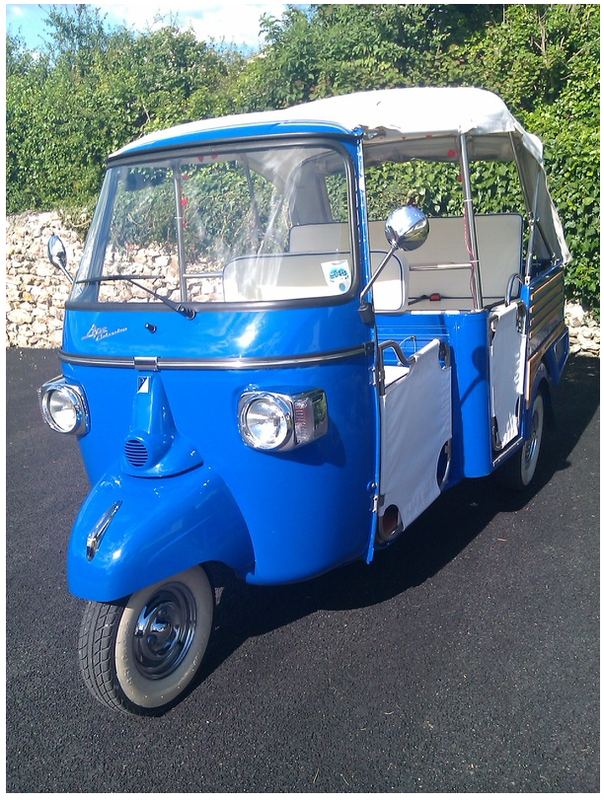 I know this is a Vespa based Tuk Tuk, not a Lambretta, but she is unarguably beautiful. And I’m going to throw in a little bit of extra trivia for you. 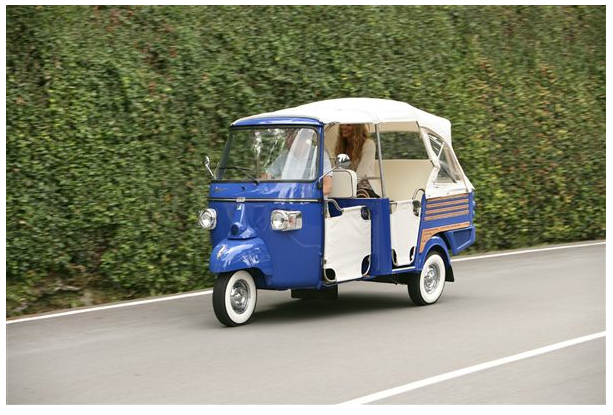 The model is a Piaggio Calessino, (one of less than a thousand made), and it’s base model, as you will doubtless know is called the Ape. 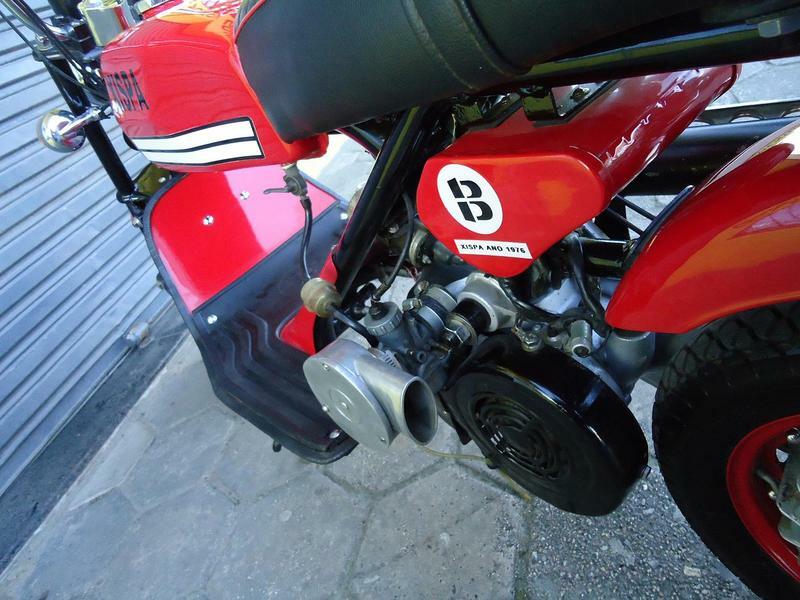 Not Ape to rhyme with Grape… but pronounced A–pey …the Italian for “bee”. 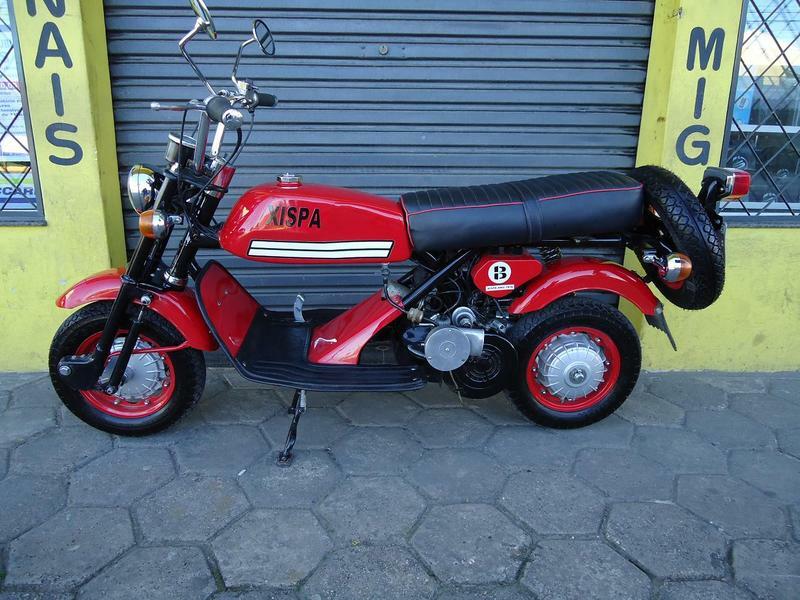 Because Vespa is the Italian for Wasp… geddit? 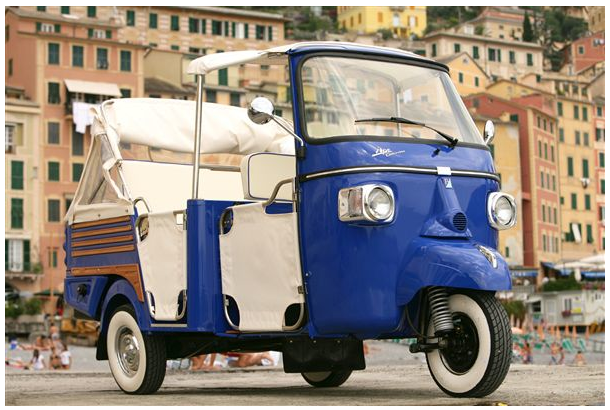 These scooter based vehicles were real workhorses for many years around Europe, the backbone of many a small business. 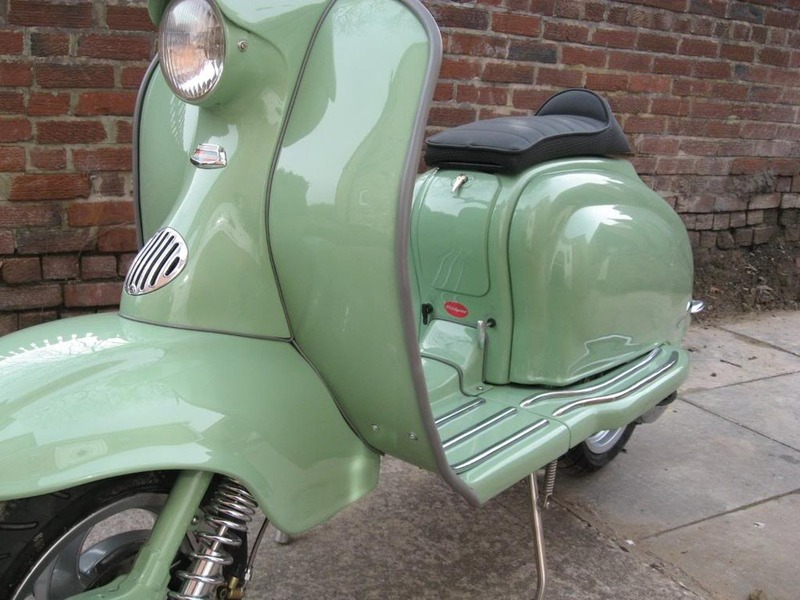 To see one based on a Lambretta, check my Café Scooteria post. 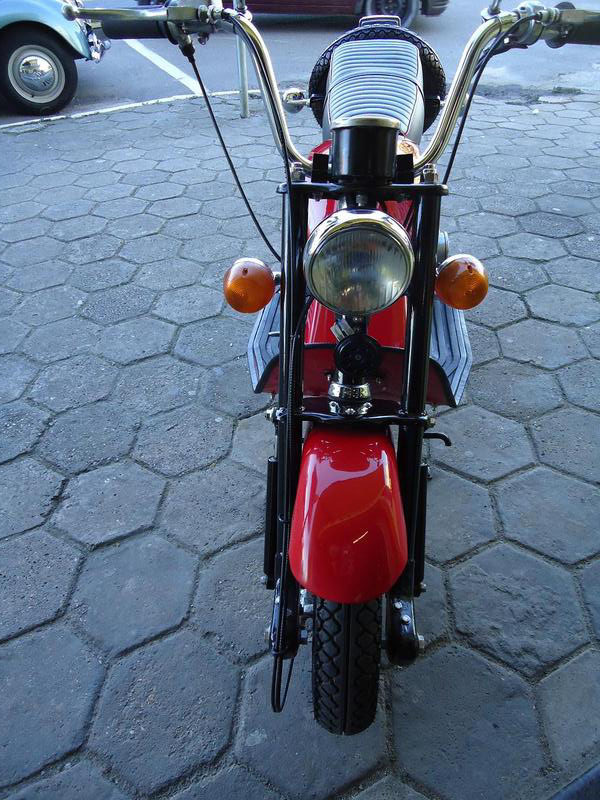 Some lovely Spanish Lambretta’s at this rally on the Costa del Sol. On the whole, pretty positive. 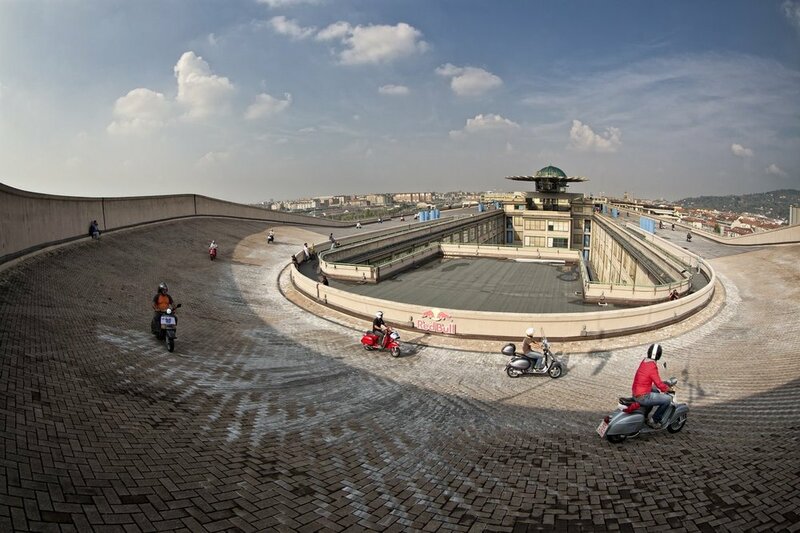 A magazine run by, and aimed at the modern scooterist rather than the classic variety, but this probably serves all the better to benchmark the LN. 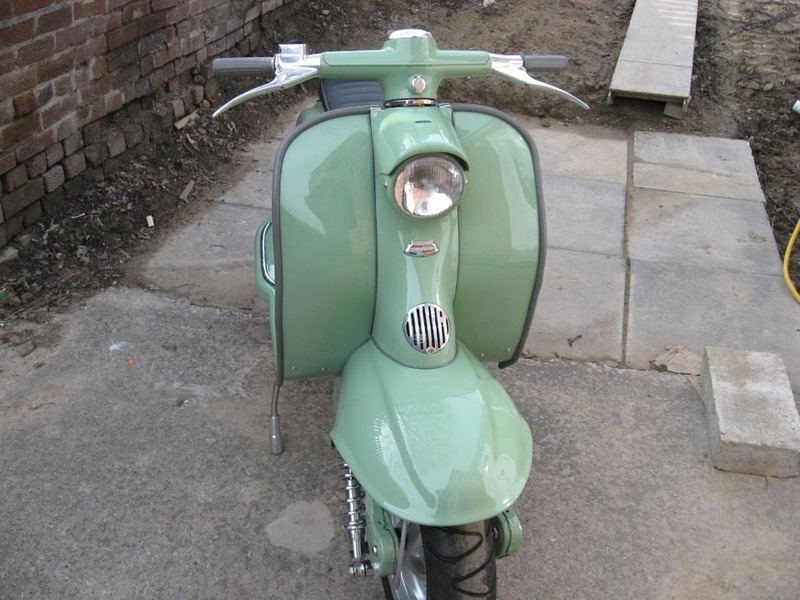 Everybody knows that the Lambretta comes from Italy. Most know that it was also made in India. And many know it was also made in Spain. At a pinch you might even mention Germany and France. But Brazil? Or Brasil, as it is more correctly spelled? Perhaps it’s my Eurocentric world view, but I was quite surprised when I first found out. 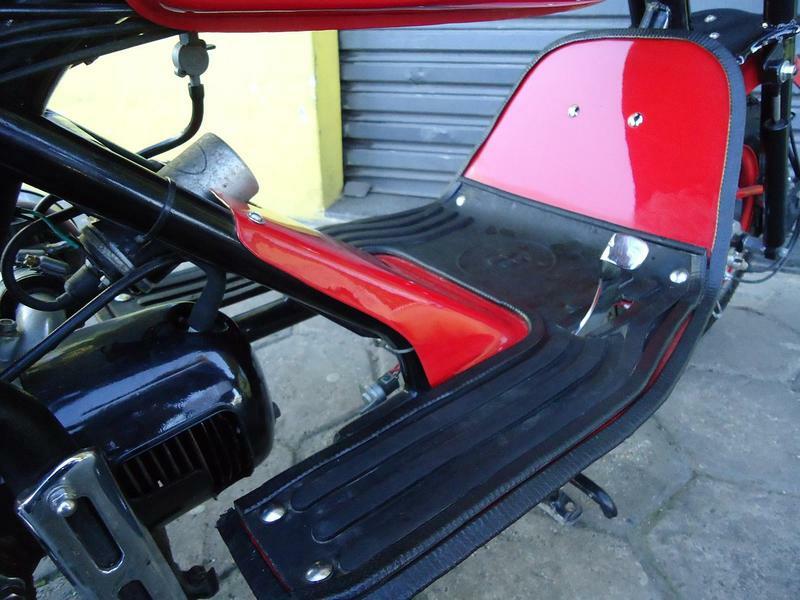 (For completists, Lambretta’s were also made under license in Argentina, Taiwan and Colombia). 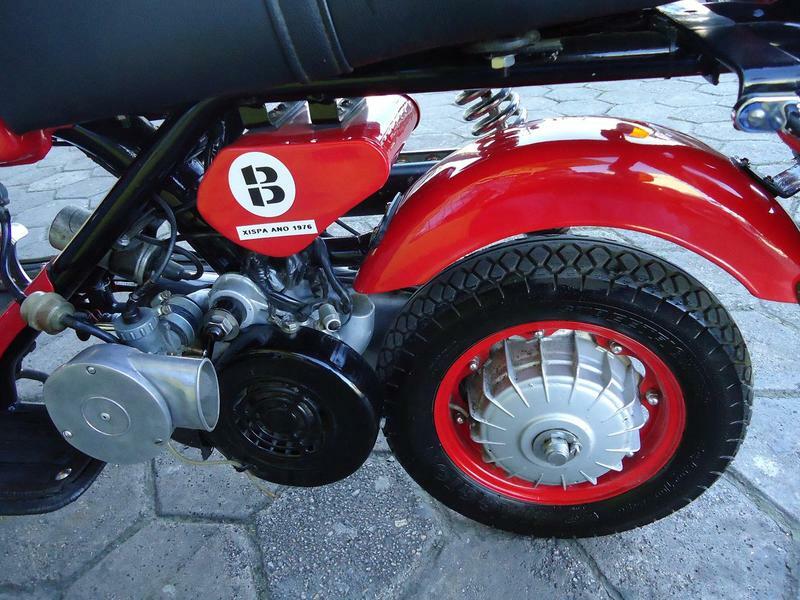 The history of the Lambretta in Brasil stretches right back to 1955, and in fact it has clams to being Brasil’s first automotive manufacturer. 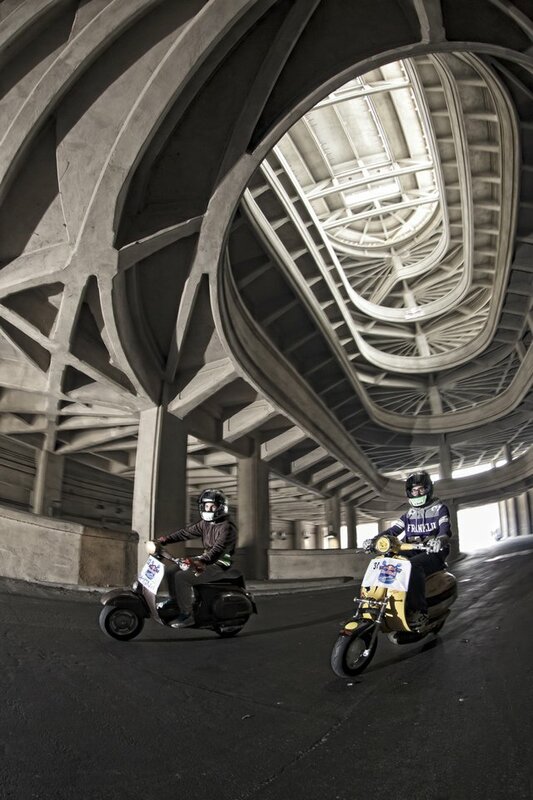 Between 1958 and 1960, in it’s heyday the factory was producing more than 50,000 scooters a year. 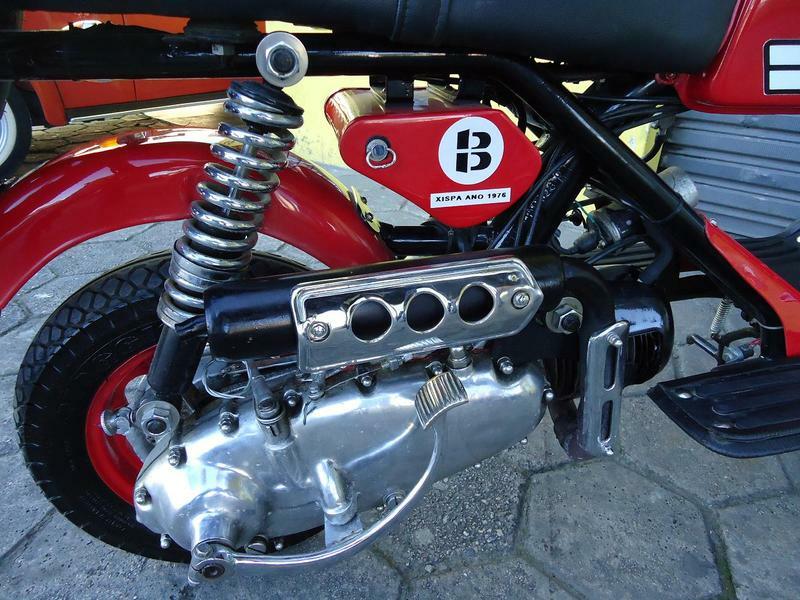 The mainstay of Brazilian production was based upon the Italian LI Series 2, which they produced from 1960. 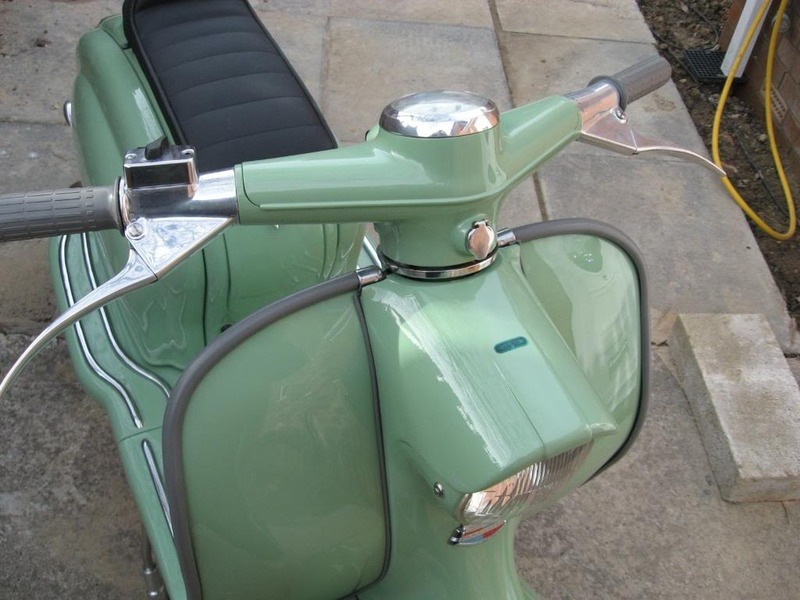 Known from 1964 as “Pasco Lambretta” the scooter market began to suffer the same slow decline in fortunes that was happening in Europe. 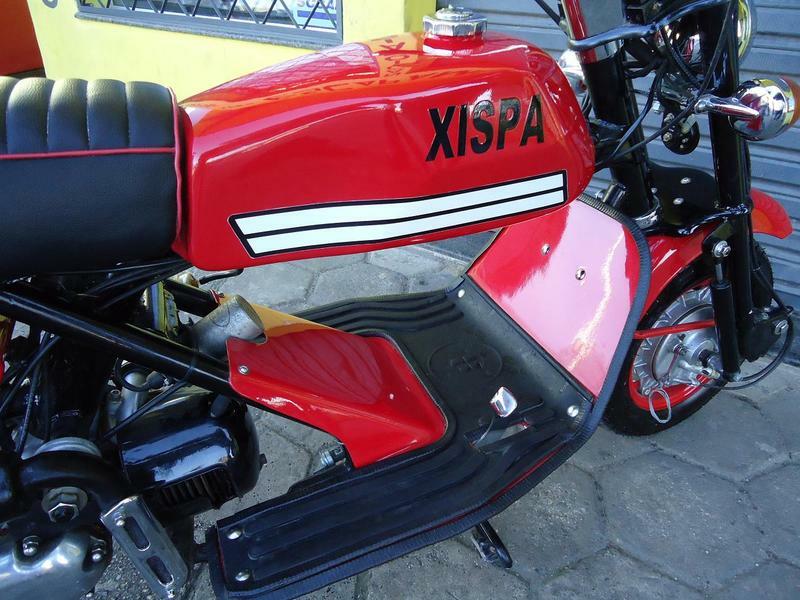 In an attempt to kickstart the market and keep up with changing automotive fashions, they launched one of the Lambretta families more unusual members (to European eyes anyway)… the Xispa. 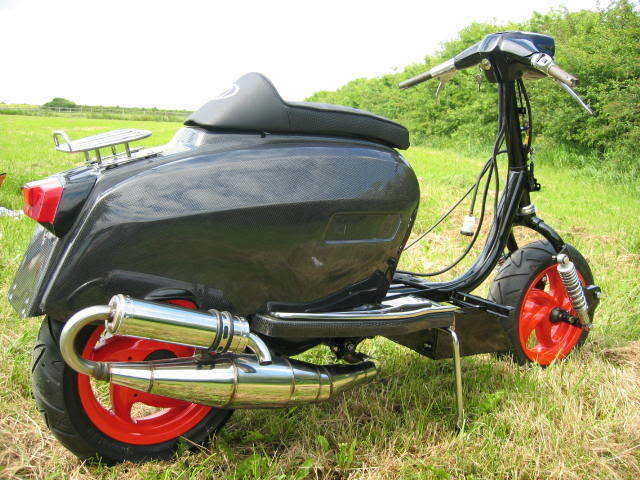 This was a kind of hybrid scooter/monkeybike with many (as you’ll see in the pics) Lambretta components. 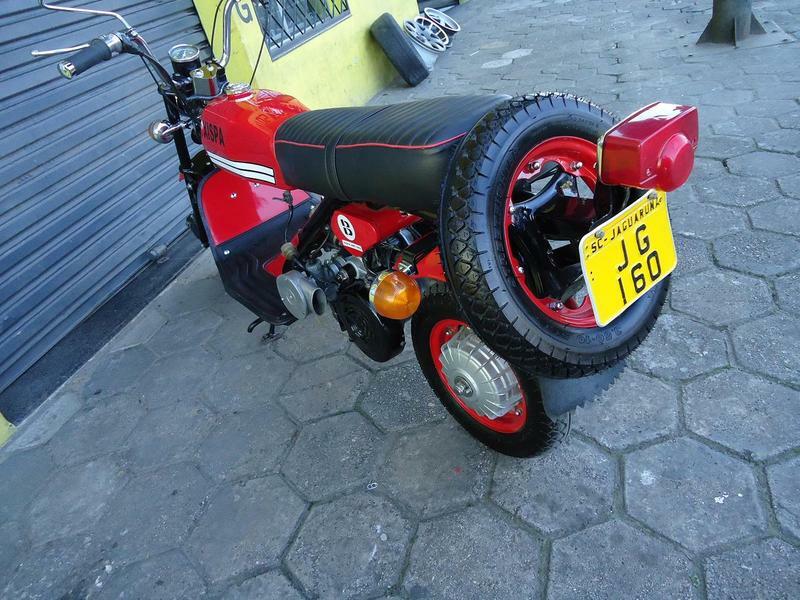 There was a 150cc and 175cc version which did well in the domestic market, until the inevitable rise and eventual dominance of imported Japanese motorcycles and mopeds. 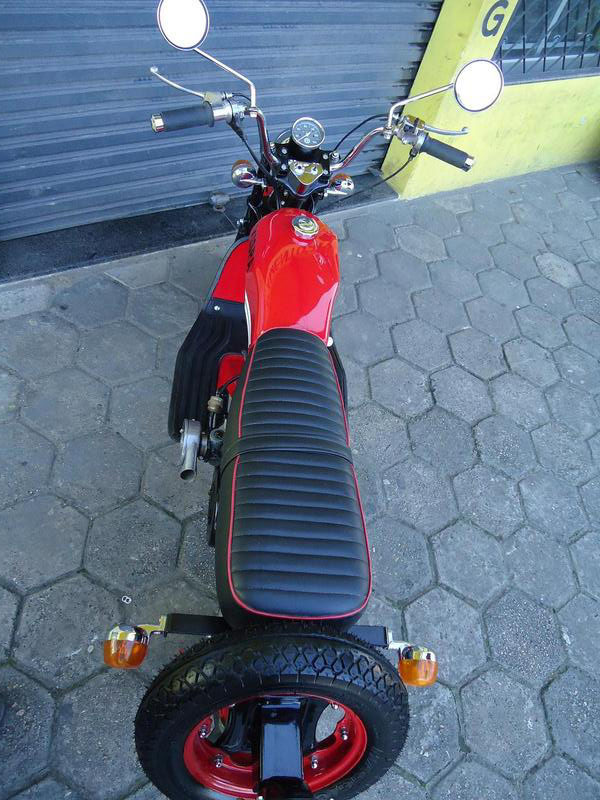 This all but saw the end of Lambretta production in Brazil, although their final throw of the dice was the slimline style Lambretta Cynthia (which I will feature at a later point I’m sure) and the ‘cutdown’ version of this… the MS150… the factory trimmed sidepanels and MS designation earning it the nickname “the MiniSkirt”. 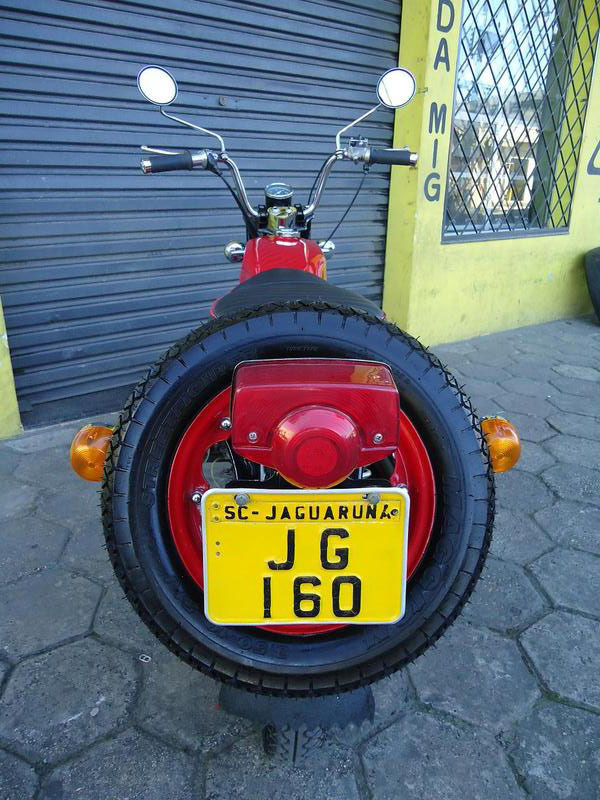 As I mentioned in a previous post, there is a healthy interest in classic Lambretta’s and active club scene in Brasil (and also Argentina, but that’s another story). 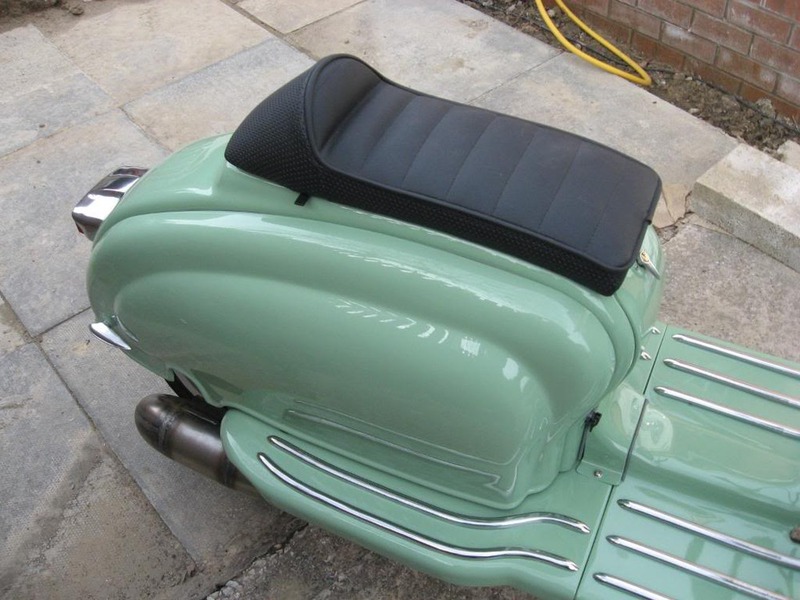 There also appears to be a few Xispa’s on the market… an ideal machine for the Lambretta collector with an eye for the unusual. 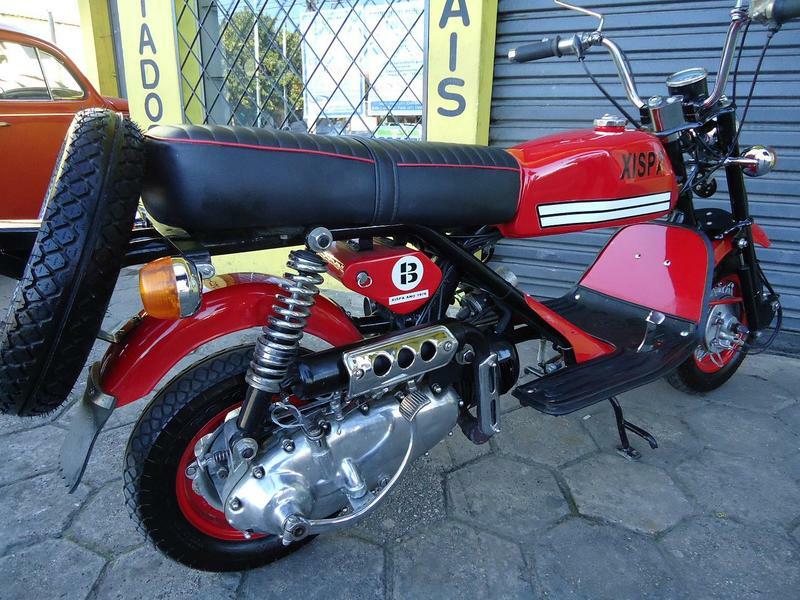 For instance, here’s a very nice example, going for about 4,000 Brazilain Reals (about £1,100 at current exchange rates). 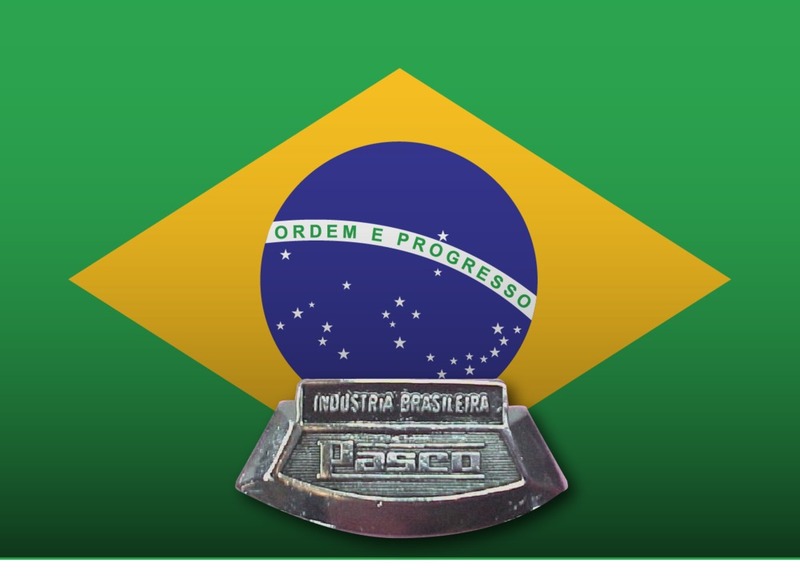 You’ll have to ship it over from Brasil of course! 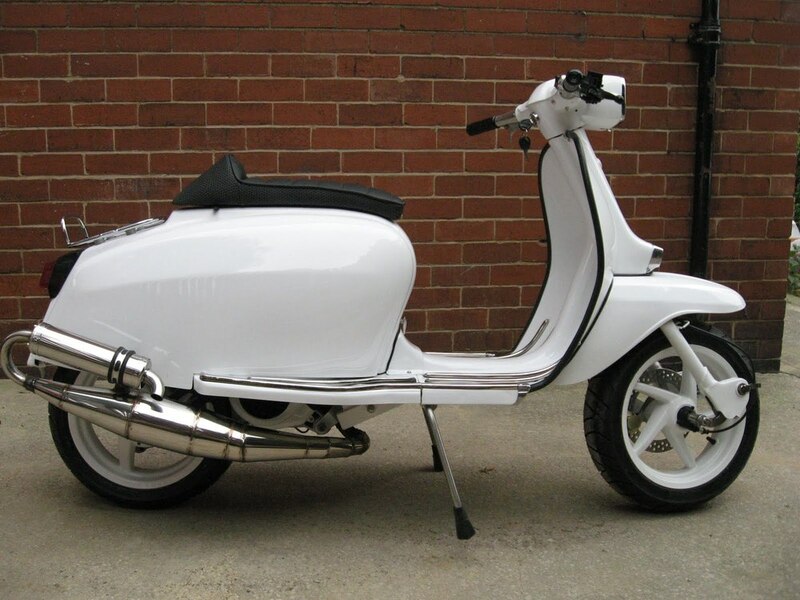 I like it, I think it’s got a certain ’70s charm… and it also reminds me of those fantastic racing “Lambretta da Corsa” scooters from the fifties. 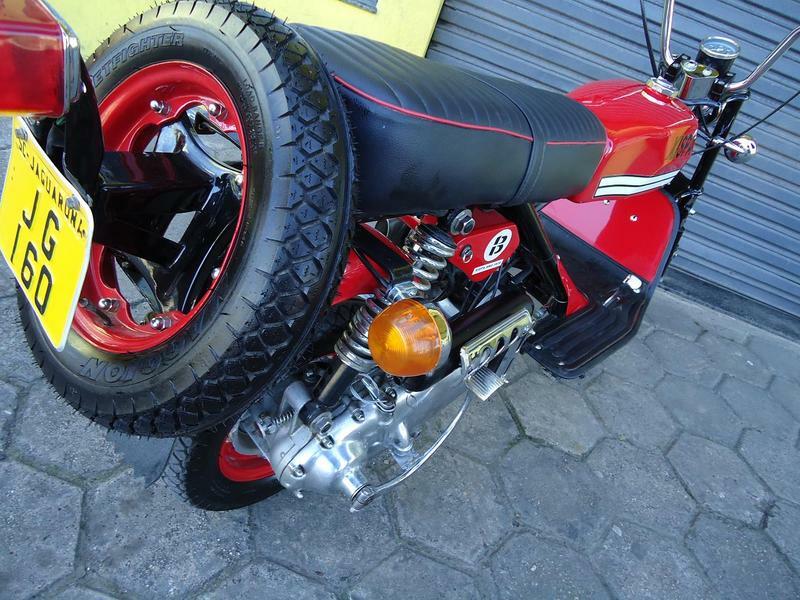 Some useful links if you want to find out more about Lambretta’s in Brasil. 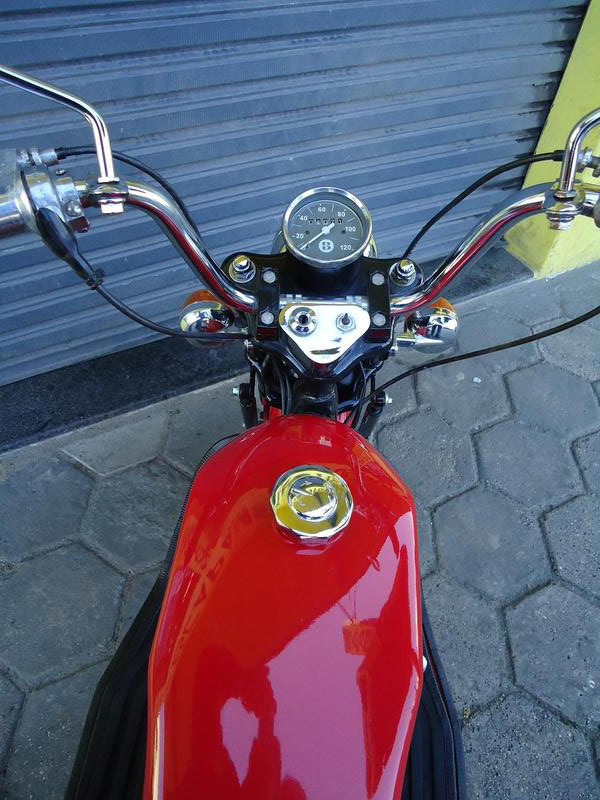 Or stat tuned and I’ll get round to writing some more, espcially abut the Cynthia, and the MS! 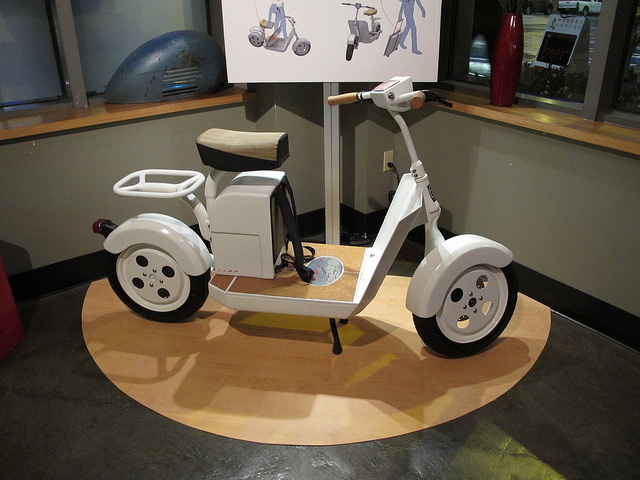 Right at the genesis of this blog, in fact before this blog was even born, I posted an electric scooter concept, called the Fido. 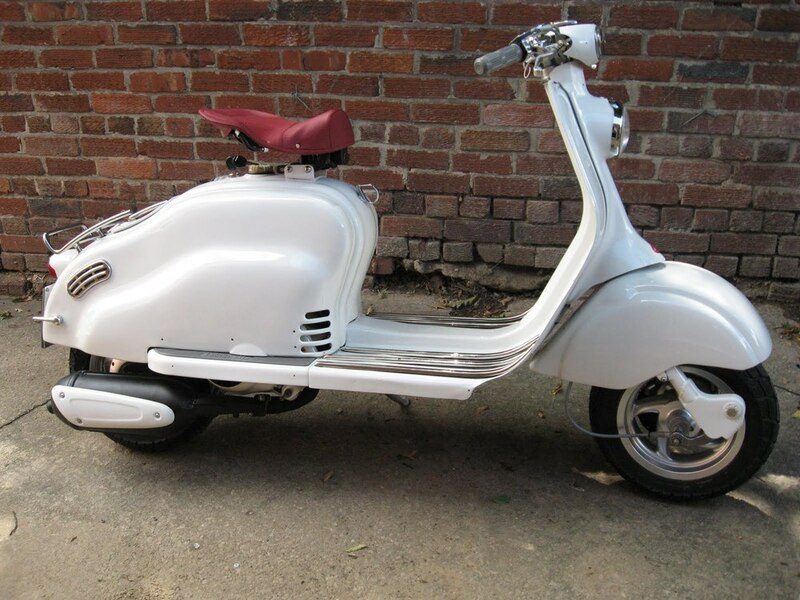 I remarked at the time it was very reminiscent of an early open framed Lambretta, such as the Models A-F.
Well, I wasn’t the only one that thought the Model D would make the ideal platform for a modern scooter. 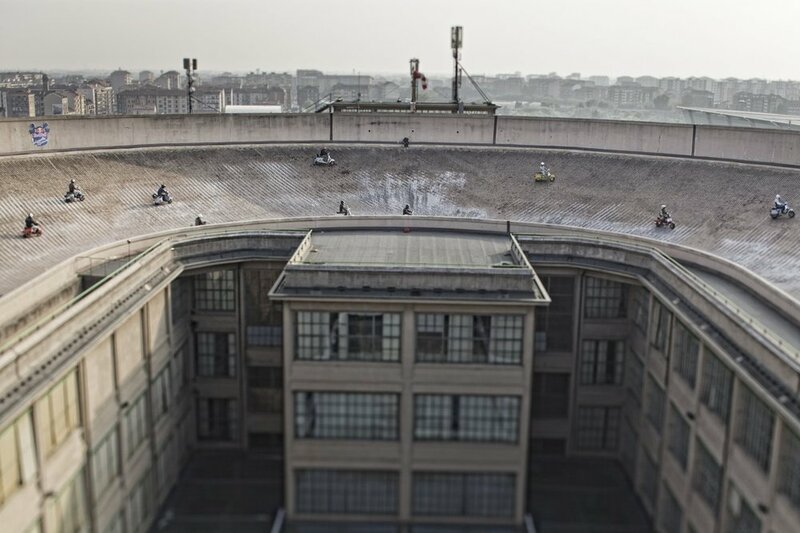 And Richurci, in Italy (I’m sorry, I don’t know a lot about the fella) has built one. 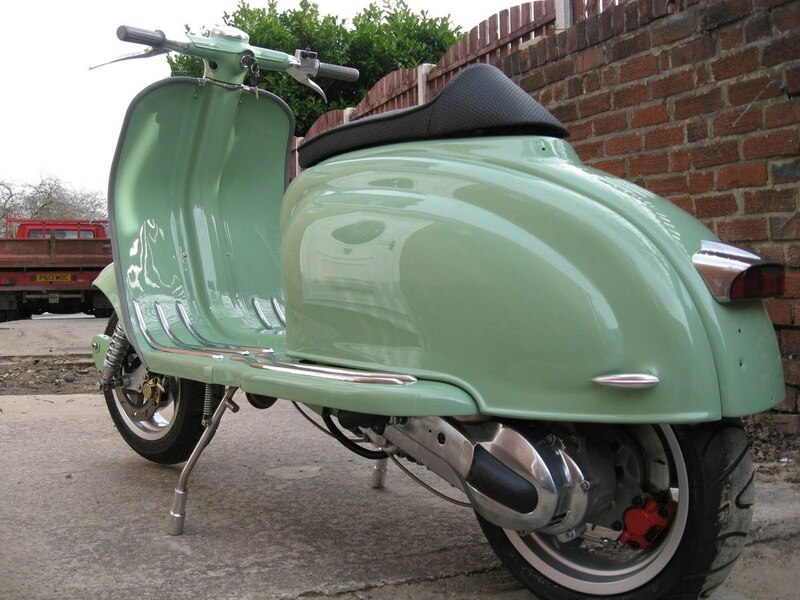 The EcoLa ( Eco Lambretta gettit?) 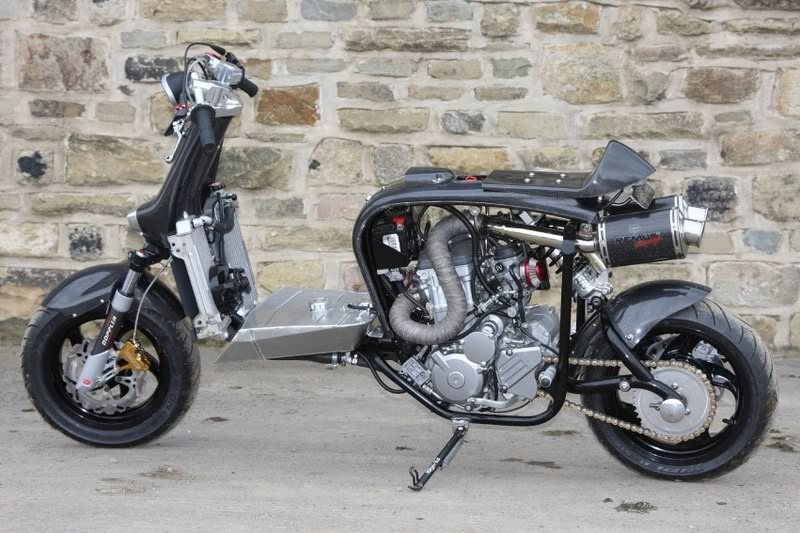 It’s got a 1kW motor which only gives it about a 20km range, and a top speed of 50km/h, but bearing in mind it’s pretty much homemade, including the instruments, it’s a good ‘proof on concept’. And by swapping out the lead acid batteries for some lighter and more efficient, but more expensive Lithium ones further improvements in performance and range should easily be possible. 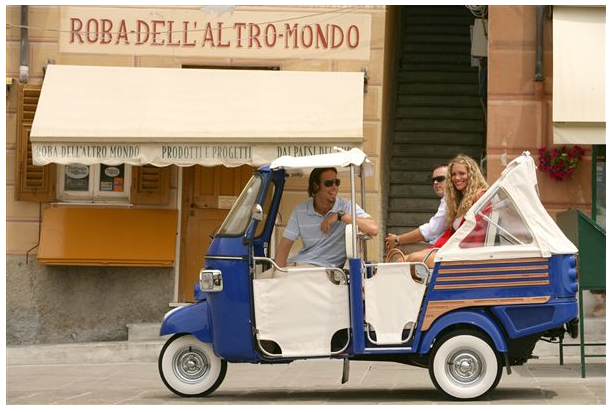 It would seen a combination of lack of funding and trouble getting the vehicle licensed (Italian/EU bureaucracy!) have meant the project has come to a bit of a halt recently. 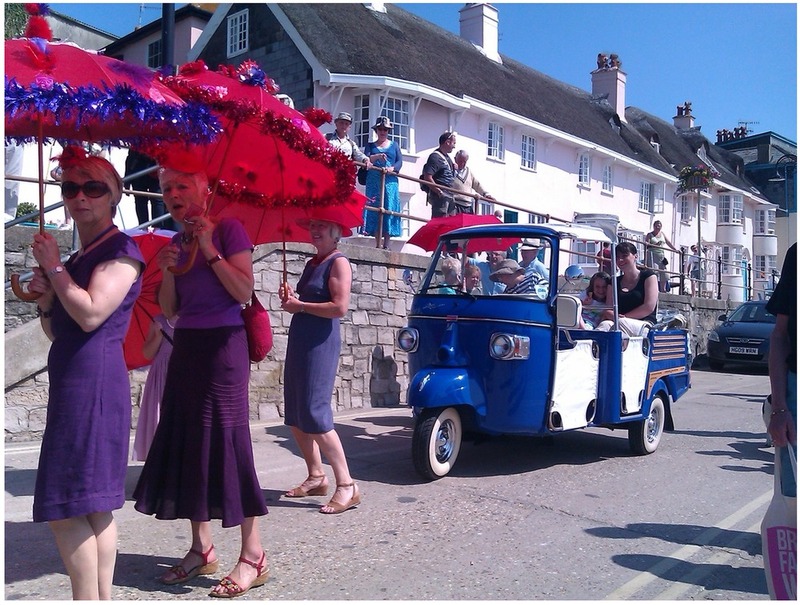 So, are there any eco-aware millionaires out there, wanting to fund the development of this vehicle? You could put a few quid into the development of the Smite while your at it, and help to change the world! 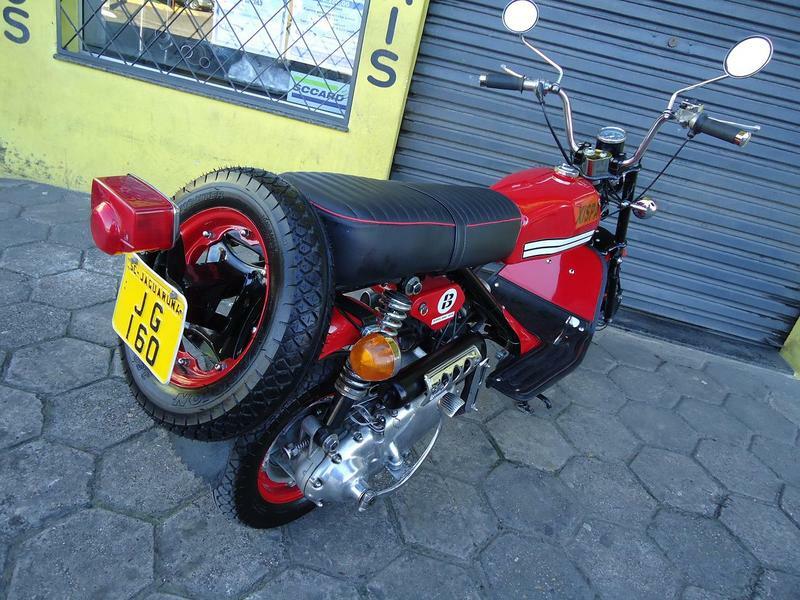 I’d have one. Sitting next to my Smite. When I’m not riding a Lambretta, I’m either at home with the wife and kids, (usually doing homework), or at work being a graphic designer. 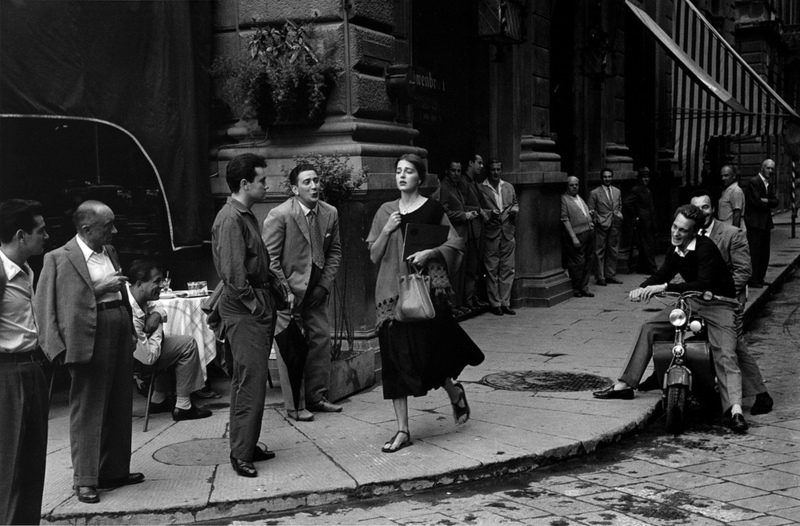 One of the design blogs I visit, Design You Can Trust, recently featured some wonderful photography by an american photojouranlist Ruth Orkin. A lot of her most arresting images come from the ’50s and ’60s, and there’s a lot of New York scenes, celebraties and musicians. 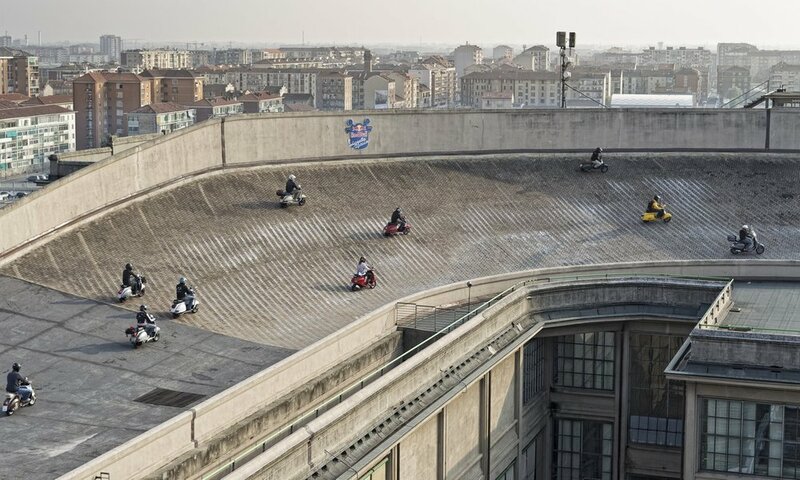 Fabulous stuff, if you’re interested there’s a great online archive here. 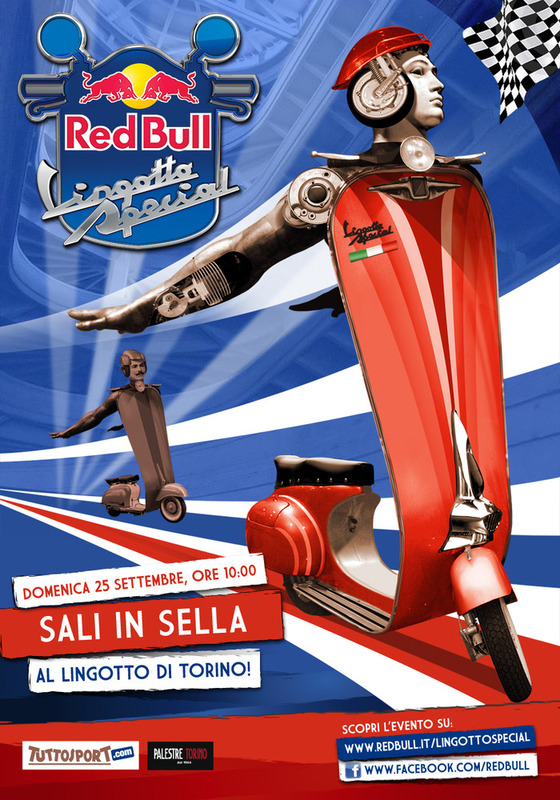 The image that caught my eye though was “American girl in Italy”, initially because of the rather cool couple of gents, astride a Model D. I thought, what a great image… how cool are all the guys in the image, so well dressed… and then you see the girls face. She’s obviously not happy with all the attention she’s getting. Looks pretty scared in fact. Maybe the good old days weren’t quite as rosy as we like to think of them. EDIT/UPDATE: I’ve just found out that this is an iconic image, that nearly everybody in the world had seen! 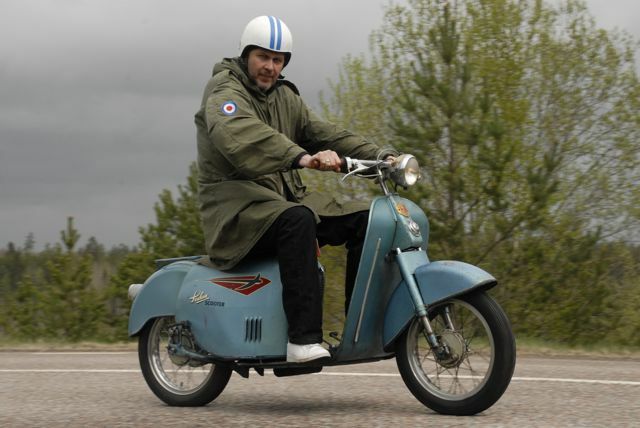 It’s even referenced on the Lambretta Wikipedia page. Oh well! 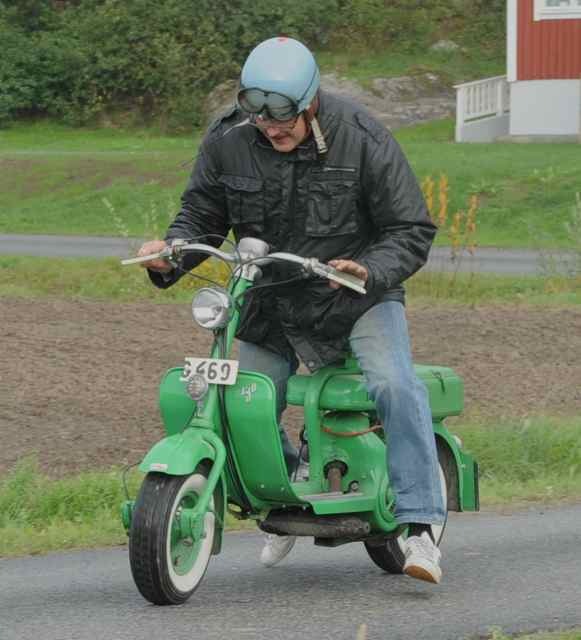 I do love old pics of scooters though, even better when the scooters are quite incedental to the image. 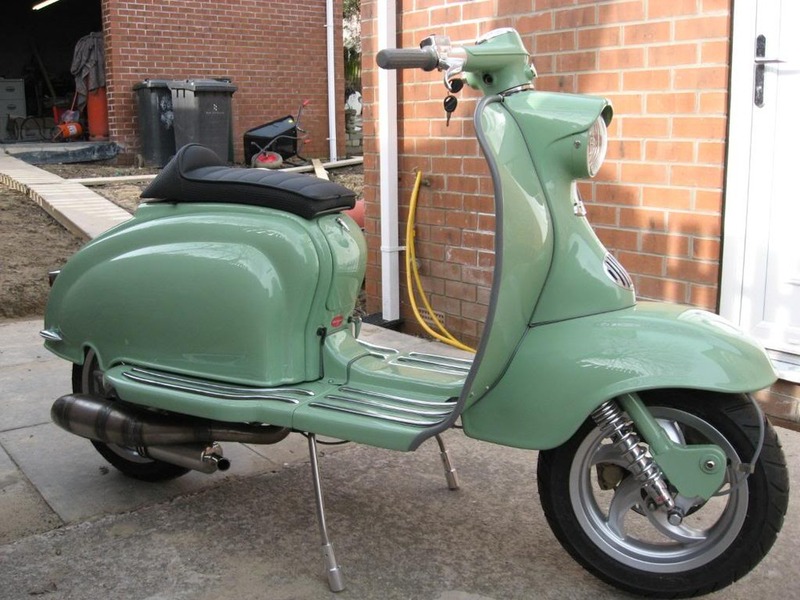 If you’ve got any old Lambretta shots, I’d love to see them.